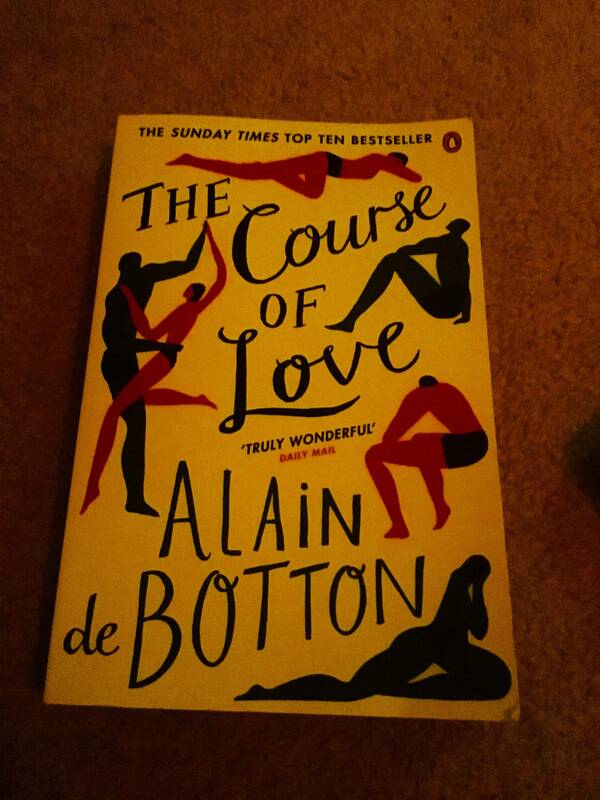 It is a rare skill to refine the words and images of a life in order to draw out real meaning and that is exactly what Mr de Botton has done here. He does it beautifully too. I dare anyone to read this and not reconsider their previous loves in the spotlight of what's reflected here. For our notions of romance are not sustainable and to nurture something real is all about finding the balance you can live with, supporting and receiving support and prioritising that unit. I can only really comment on that from cold observation, for to be completely honest, I've never really found that myself. Certainly I could relate to both Kirsten and Rabih's challenges of the death of sexual attraction, the attraction of being a couple for the prestige it elicits from one's parents and colleagues,;but when you boil it all down, I've just never really met my match and that's sad. Perhaps I never will. In any case I'm done with pretending to be less, being conciliatory and all those other falsehoods that draw them in before they see behind the curtain. I'm aiming higher. When I look at this very real portrayal of a married couple ( and I've been there - married that is - despite feeling it probably was more about ticking off a life goal than anything else) I'm encouraged that we are all pretty rubbish communicators and tend to get everything wrong. Life is really about the mistakes we make and how we change because of them. I think this novel really reflects that. It is insightful, hard to read at times and beautiful. Don't cheat. Just hire a hotel room and try to remember what you fancied about the person in the first place, if that's not there... you are probably best to run. 5 out of 5, hugs all-round.